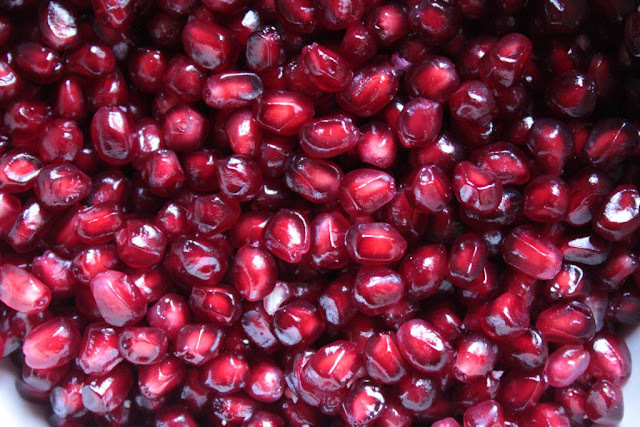 The pomegranates at Towerwater are beautiful this year. The grenadilla is producing another crop. Sunday morning harvests are akin to a blessing on the table at Towerwater. 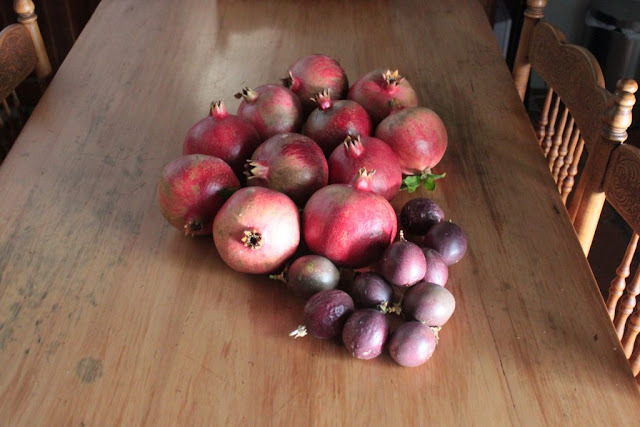 Some pomegranates were bursting open and I saved the arils for making pomegranate sorbet later. 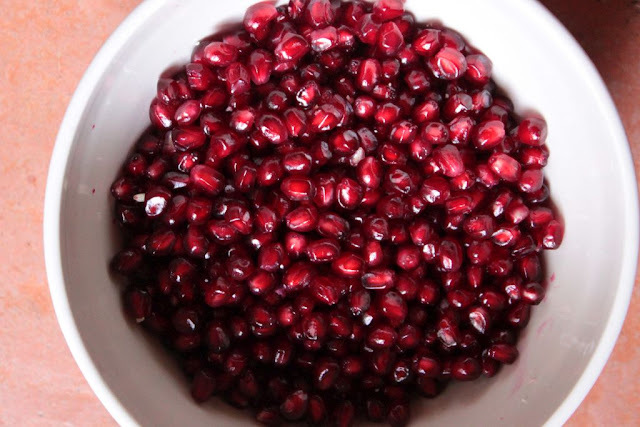 With the ruby-like arils falling into the bowl, I could not help but marvel at the sheer beauty of the fruit. 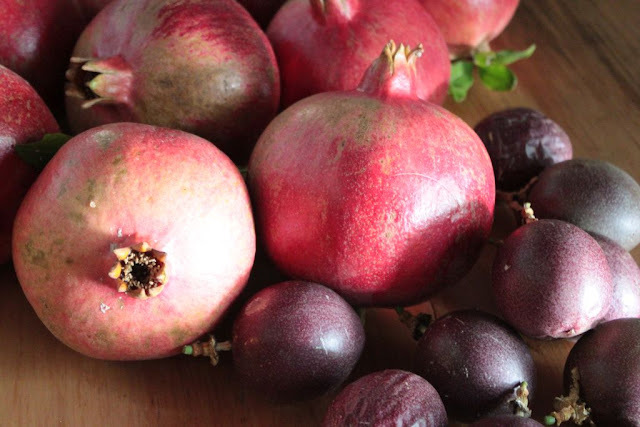 Fresh fruit provides a sense of luxury in the home. Full bowls decorate the tables like still-life’s waiting to be painted. 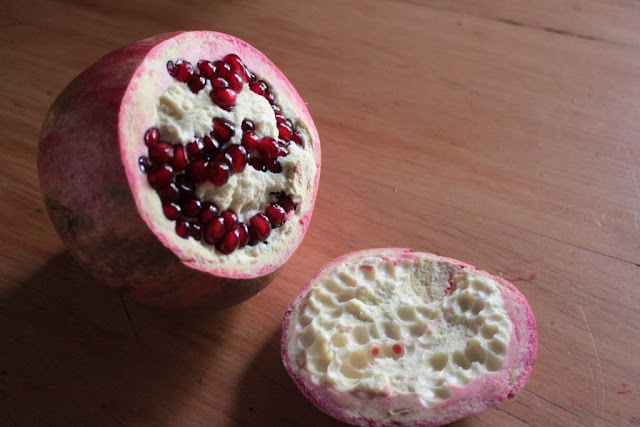 Pomegranates have fascinated many an artist who has captured the exotic fruit in all its phases. Perhaps I should take up brush and canvas and capture this gift of nature, seen in ancient and modern times in many countries, as a symbol of abundance, fertility, and good fortune. 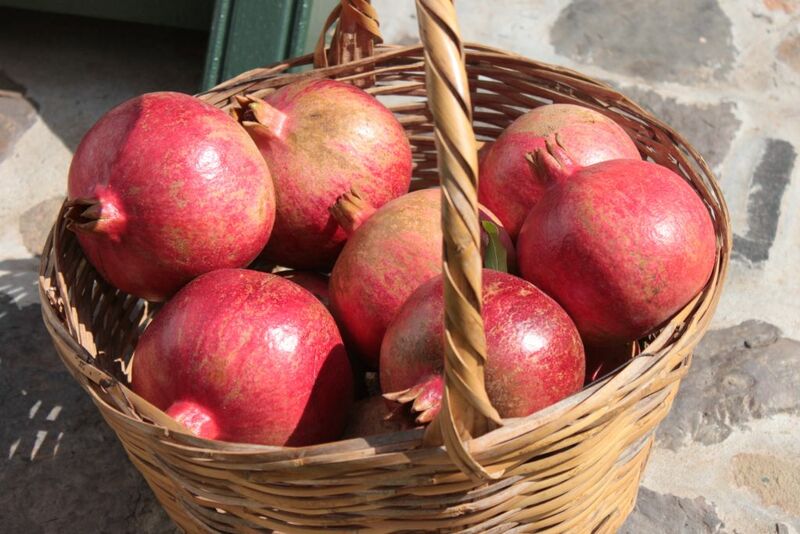 The pomegranate surely brings with it all those aspects to the garden and home at Towerwater. 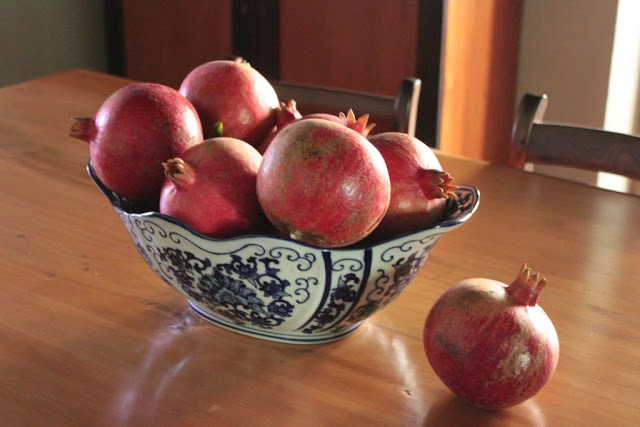 I count myself fortunate to be able to pick my own pomegranates; to celebrate the fertility of the garden by enjoying the abundance of the red ruby arils in each fruit. They are very beautiful. Especially when they hang like giant baubles from the tree. Lovely images, thanks.